Home extensions are a huge project, regardless of the size of your home or the extension. It can often be even more complex than building an entire structure from scratch, so here are some tips to keep in mind as you enter the planning stages. Zoning permissions before you build, site insurance during construction, and building certificates upon completion are things you should investigate, so there are no unpleasant surprises later. Construction access on your property, landscaping issues such as soil and trees, and even your neighbors are all going to be factors to consider, and you may have to alter your plans to accommodate possible problems. This is crucial when considering home extensions, as there are so many things that need to be done. A skilled, experienced professional should be able to anticipate issues, deal with unavoidable problems, and offer advice throughout to make things run smoother. When you’re planning home extensions, it’s important to make sure the new part will match the existing house, otherwise it could stick out like a sore thumb. Also, consult with your contractor to find out the most cost-effective part of the house to build on, and whether the extension will add value to your home. In addition to the estimated cost of the build, it may be wise to set aside contingency money, just in case. 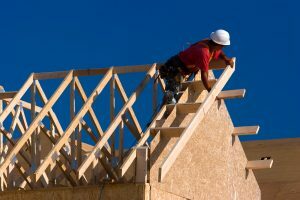 Also, living in your house during construction may slow it down or be inconvenient for you, so determine whether you will live there or move out temporarily. Such a large undertaking as home extensions deserves a good deal of forethought and very careful planning. Use these tips to get you headed in the right direction and depend on a contractor to help you navigate the sometimes rough waters that may crop up.